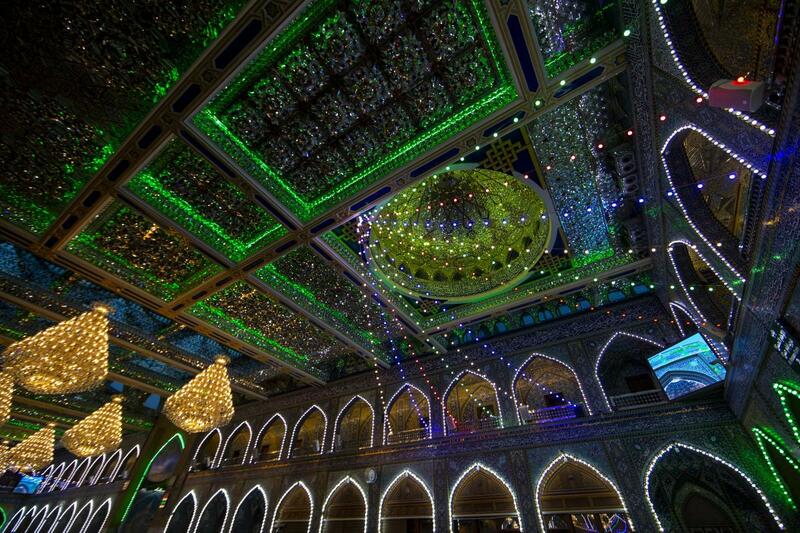 The Al-Abbas's (p) Holy Shrine is decorated to celebrate the holy month of Sha'ban. As in every year, with the first day of the holy month of Sha'ban, the month of the auspicious birth anniversaries of Ahl Al-Bayt (peace be upon them), the Al-Abbas's holy shrine like usual is decorated to show the joy and festivity, as the relevant departments have started decorating the holy sanctuary to reflect the festive atmosphere of this holy month in all the corridors of the holy shrine, in order to bring joy and happiness to the lovers and followers of Ahl Al-Bayt (peace be upon them). Garlands roses were put in the entrances and exits of the holy shrine, colored lamps were enlightened and banners were hung to show the greatness of these days, in which we celebrate the birth anniversaries of Imam Al-Hussayn, Imam As-Sajjad and Imam Al-Mahdi (peace be upon them all), as well as of those of the Moon of the Tribe, the banner bearer Aba Al-Fadl Al-Abbas and Ali Al-Akbar son of Imam Al-Hussayn (peace be upon them all). It is narrated that the Holy Prophet (Allah’s prayers be upon him and upon his holy Household) said: "Indeed, Rajab is the month of Allah, Sha'ban is my month and the month of Ramadan is the month of my Ummah, he who fasts a day of Rajab by faith, will have the best of Allah's satisfaction and will be placed at the highest paradise." 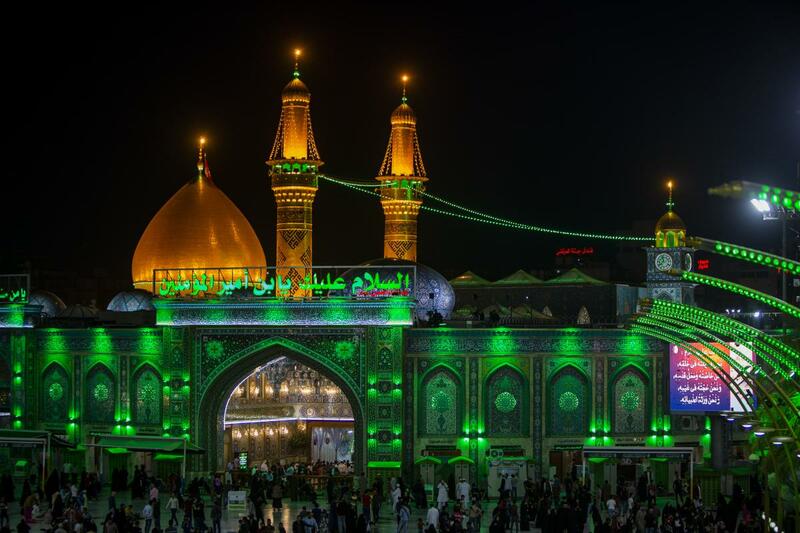 Within this spiritual atmosphere and to contribute in the good flow of the visitors who came to perform the rituals of the Ziyarat, the two holy shrines of Imam Al-Hussayn and Al-Abbas (peace be upon both of them) have harnessed all their service and security potential in order to maintain the comfort and security of the visitors.